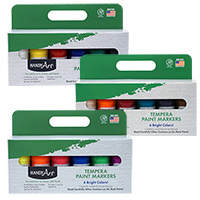 Handy Art® Marker Sets come in a variety of Tempera paint color combinations including primary, secondary and fluorescent. Marker Sets are also available in Washable Tempera primary colors. 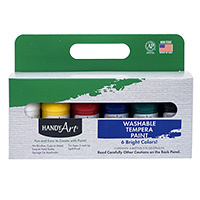 Some retailers also offer Handy Art® Markers as individual open stock items. Handy Art® Markers are certified AP non-toxic.